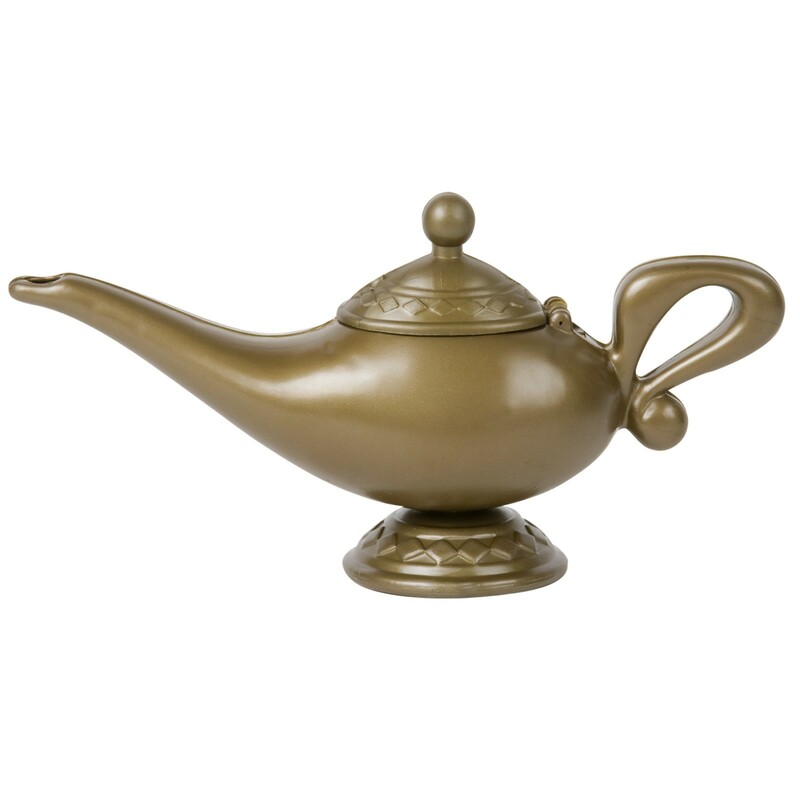 Add this great prop to your Genie costume. Make some wishes come true. Plastic Bronze color lamp with opening lid. Measures 9'' x 4.5''.